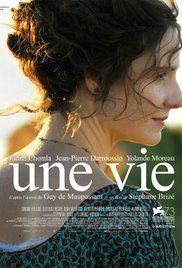 A Women's Life (French: Une vie) is a 2016 French-Belgian drama film directed by Stéphane Brizé. It was selected to compete for the Golden Lion at the 73rd Venice International Film Festival where it won the FIPRESCI Prize for Best Film in competition. It was awarded the Louis Delluc Prize for Best Film in 2016. Read more on Wikipedia.